‘Fiddle and the Fires’, in which Fiddle and a boy from John Every’s Foundry escape the Union workhouse. Alison will have with her copies of her books for sale, should you require Christmas presents for the target age group. We shall be serving mulled wine and mince pies prior to the meeting, from 7 p.m. As usual all will be welcome. There will be no entry charge for members for this meeting. This report covers an important and exciting year in the development of the Lewes History Group (LHG). One year ago we moved from being an ‘informal’ group to a ‘formal’ organisation. The main motivation for this change was to setup an organisation that would enable us to become more active participants in understanding the history of the town. The most important initiative taken during the year was the development of the Street Stories project proposal and the submission to the Heritage Lottery Fund for funding. Unfortunately our first attempt to secure funding was rejected but we have been encouraged to revise the proposal and resubmit in 2014. In the meantime we will pursue ways in which we can support members who are already taking initiatives. The project built directly on our ambition that the LHG should be driven by the interests of its membership. And where better to start than on ‘our own front doorsteps’! There was a steady growth both in membership and attendance at our public meetings over the last year. This clearly demonstrates that the LHG is filling an important role in the life of the town. I look forward to this trend continuing in 2014. Some of you completed a questionnaire distributed during the November meeting for which we are grateful. For those who did not respond in November there will be a second opportunity at the December meeting. We will use the results, among other things, to help develop the organisation and some new activities as well as the monthly lecture program. In due course we will summarise the results in a future issue of the Bulletin. And most importantly, yourselves; the members, the attendees at our meetings and the many on our list of friends. Lewes History Group income for the year 1st Jan 2013 to 30th Nov 2013 was £4,321.81 (including £637 brought forward) and expenditure for the same period was £2,061.16. Income was significantly higher than anticipated due to more people becoming members than had been expected, combined with far greater numbers attending the monthly meetings. Expenditure was in line with expectations apart from Publicity and Administration which were both higher due to a significant increase in the publicity of events and higher costs resulting from greater numbers. The end of year balance shows a healthy surplus which will provide a good base for the group to expand its activities in research projects and other ventures. It is proposed to retain the same membership subscriptions and entrance fees for the next year. 2103 being our first year as a membership organization, we really didn’t know what to expect, but set ourselves a goal of 100 members. We were amazed by the level of interest and response, which meant that we met our goal in April. We currently have 175 members, and renewals for 2014 are going well. We expect some attrition, but would hope that through 2014 we’ll grow to over 200. We’ve been rigorous in collecting email addresses for our members, and we have only 8 who do not use email. This is quite a remarkable statistic, and of course makes it much easier to communicate and to distribute the monthly bulletins. I’d like to thank everyone for their helpfulness over membership matters, which has made my job a pleasure. 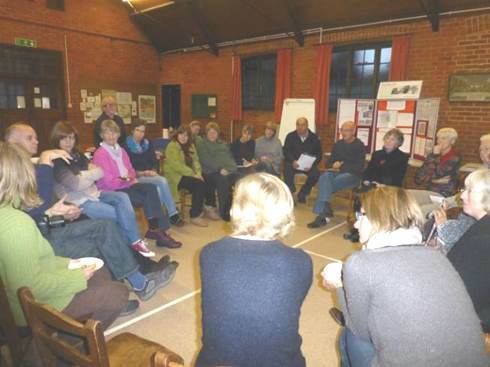 As we moved from an ‘informal’ to a more ‘formal’ organization at the beginning of 2013 we recognized that the LHG had a rather low profile in the town and meetings were attended by an average of 50 people. To change this we knew we needed someone dedicated to marketing & communications. With a deal of hard work and persistence, the activities below have raised awareness to the point where media like the BBC, RocketFM and Viva Lewes have approached us to ask for information & interviews. Typical audiences at the monthly talks are now 120-140 with the October meeting on Chapel Hill’s history attracting around 180 people (our best yet). Setting up social media accounts to interact with more tech-savvy audiences. We now have 69 following LHG on Twitter & 42 on Facebook (as at 20/11/13, but rising every week). The number of “views” has grown sixfold from an average of 10 per day when we first started out in 2010, to over 60 per day currently, amounting to a total of over 20,000 in 2013. The vast majority of users are from the UK, followed by Anglophone countries like the US, Australia, Canada, then France (all people with family ties? ), and followed by 60 other countries worldwide. We redesigned the website this year, giving it an updated look using more visual material. Thanks to Jane’s new reciprocal arrangements with other organisations, we have publicised many more events in the website’s News section. Members and non-members can sign up, on the website, to receive notifications of events and other news by email. Social Media. During the course of the year we also launched Facebook and Twitter accounts. It is too early to draw conclusions from the use of these sites but it does appear that these two are letting us reach a wider audience, by linking up well with other local history initiatives like the Ale & Hearty Project. The Sussex Photohistory website lists John Thomas Case as a Lewes photographer at 2 Western Road between 1857 & 1861, while his wife Mrs Margaret Case appears as a photographer at 6 St Anne’s Terrace in 1865. 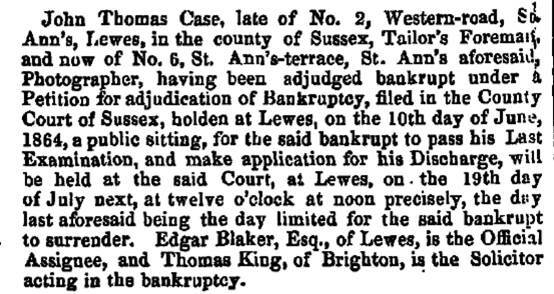 The financial issues that led to him being adjudged bankrupt in June 1864 must have been rapidly resolved if he was to be discharged so promptly. The census records him as a Scot, born about 1819. The first recorded Lewes portrait photographer was Daniel Blagrove, who arrived with a partner in 1851, only a few years before John Thomas Case also appears. Daniel Blagrove ran a High Street tobacconists and described himself as a furniture dealer in the 1861 census, so it appears neither were full-time photographers. Edward Reeves established his business in 1858, and Edward Miller also set up at about the same time, so by the early 1860s photography had become a competitive business in the town. Can you spot the common features? A Y chromosome was essential, and a large country house in the villages around Lewes was a definite advantage. The Nevill Shares Community group and the Nevill History group joined forces on November 10th to share tea, cake and memories at St Mary’s Church Hall. Between 30 and 40 residents and ex residents called in during the course of the afternoon. 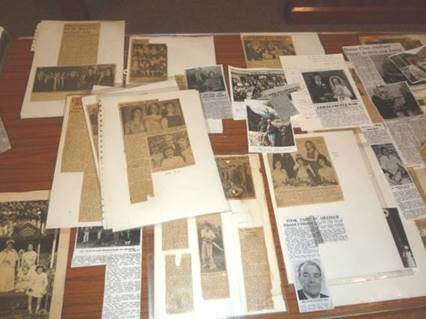 Here is just a small sample of the documents brought in to add to our fast growing collection. Newcomers to the estate enjoyed stories from those who have lived here for up to 77 years! You may also have heard more Nevill Stories recently on Rocket Radio. We are hoping that more such events will happen in the future. In the meantime if you have documents to share or stories to tell do contact us. This entry was posted in Art & Architectural History, Biographical Literature, Legal History, Lewes, Social History. Bookmark the permalink.